More and more alternative healing modalities are gaining popularity these days. From supplements to meditation, people are finding ways to strengthen their mind and body. One of the biggest trends is with essential oils. Even though it may be trending in 2018, essential oils have been used for thousands of years to capture scents, tastes and extract other benefits from various plants. 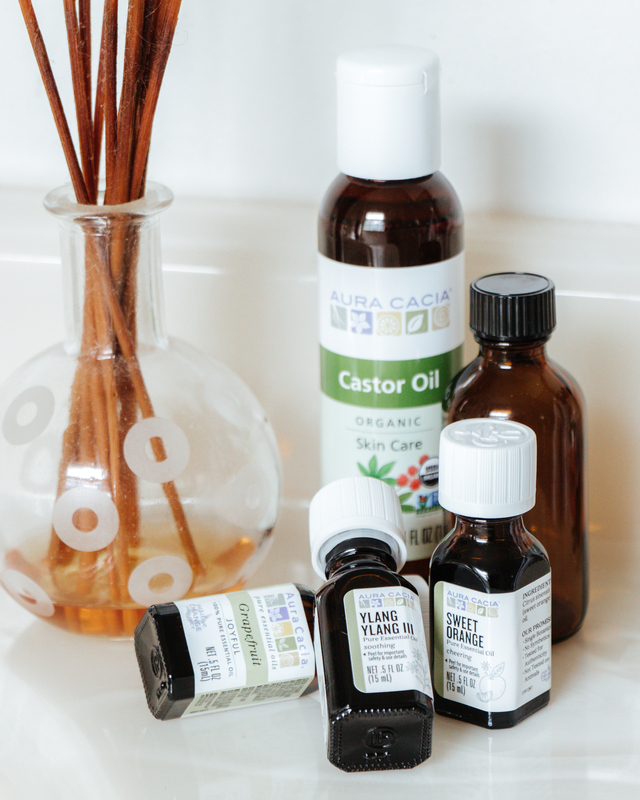 With Aura Cacia’s line of essential oils on sale this month, we wanted to walk you through everything you need to know about essential oils – from how to use them correctly to figuring out which oil is best for you. We will then share three simple blends that you can make at home for different situations. Essential oils are used in a variety of ways. The most popular applications are through diffusion, topical and inhalation. Diffusion involves releasing essential oils into the air. While the essential oils may not be as concentrated when diffusing, their aroma usually has a longer lasting effect. The most typical ways you can diffuse essential oils is by diluting them with water and using your mix as a mist or in a diffuser. From lotions to massage oils, using essential oils topically is a great way to reap the oils many benefits. When using essential oils topically, make you dilute them properly. Keep reading to see how! In general, there are a few tips to keep in mind before using essential oils. 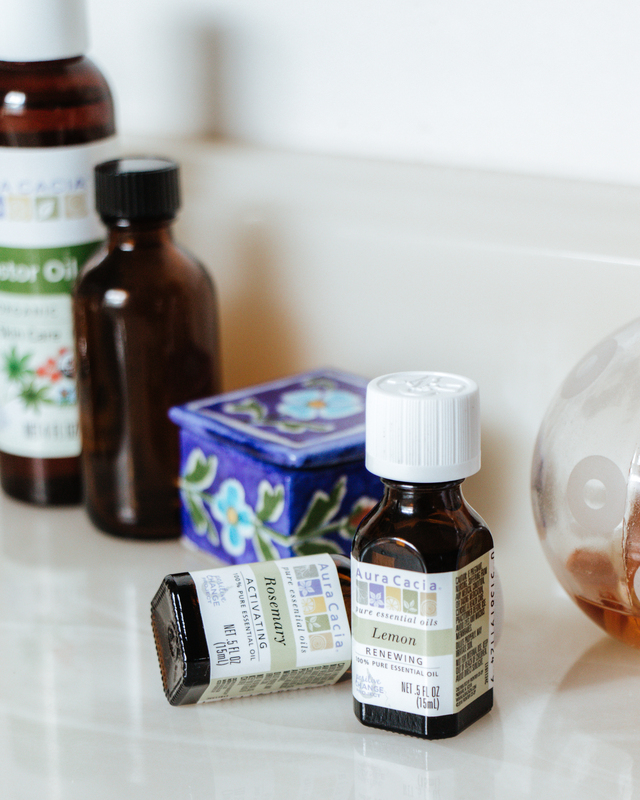 These basics will help you get the most benefits out of using essential oils for any situation. 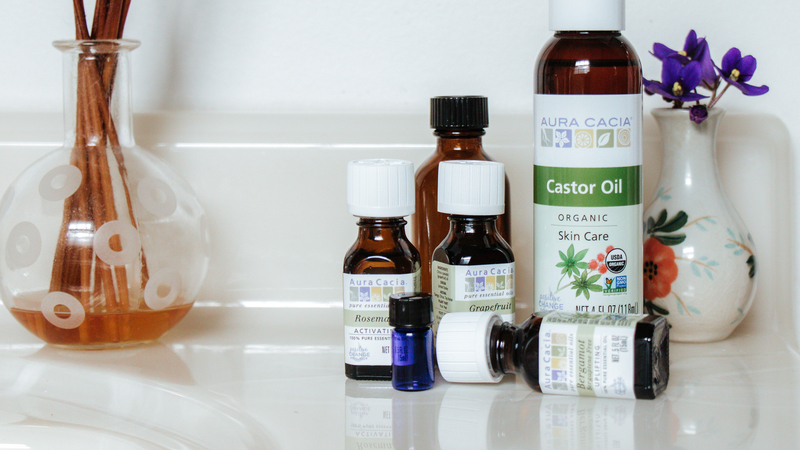 When using essential oils topically, it’s important to always use a carrier oil. These oils help to dilute the highly concentrated oils. Coconut, Jojoba, Sweet Almond or Grapeseed oil works great! A good rule of thumb: use 6 drops of essential oil per 1 oz. of carrier oil. Always test your essential oils on a small patch of skin before applying more liberally. You will be able to tell in short amount of time if you have any adverse side effects. Choosing the right essential oil depends on your needs and situation. There are a few different profiles to help you decide the perfect essential oil: cooling, calming and invigorating. 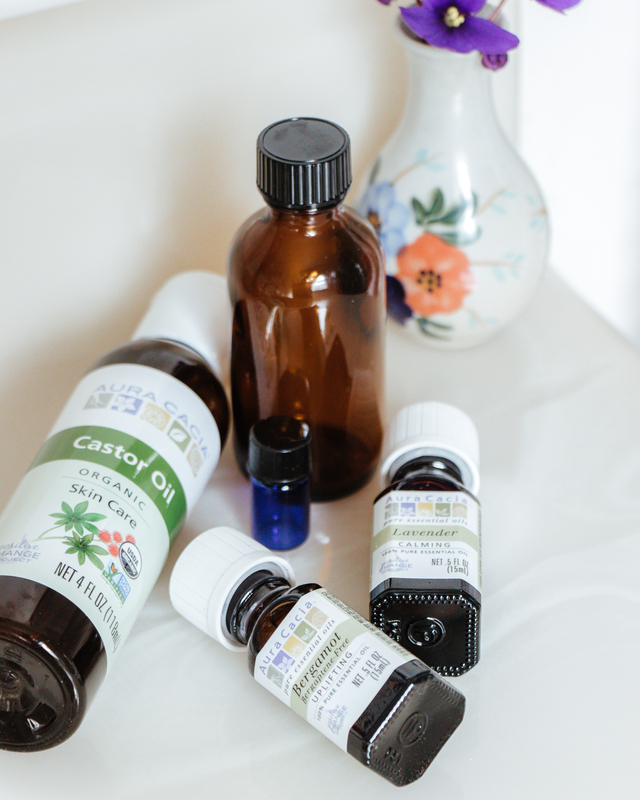 Cooling essential oils work for a variety of needs. 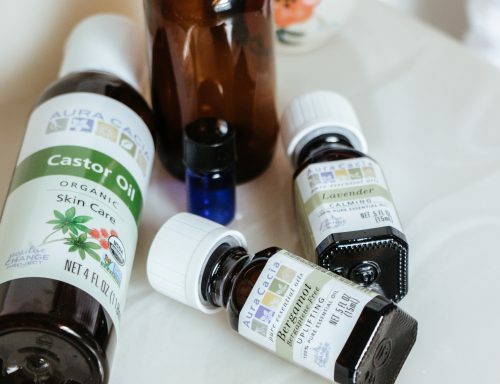 Oils like Lavender, Roman Chamomile, Rose and Hyssop work with your body to alleviate stress and anxiety, heal your skin from scarring and inflammation, and reduce itching and swelling. A large number of essential oils can help create a calming effect. These oils can also aid in a healthy immune system with heaps of antioxidants. A relaxed headspace can help you to recharge and recenter, helping you to have a calmer center when handling stress inducing situations. Calming essential oils include Ylang Ylang, Myrrh, Frankincense and Vetiver. Essential oils with invigorating essence aid the body in many ways. They can be used to support a healthy digestive and immune system, help treat skin problems and aid in muscle tension. Common invigorating essentials that you may think of include peppermint, tea tree and spearmint oil. In addition, picking up grapefruit, cedarwood or basil oil can give you powerful anti-fungal and anti-viral benefits. This blend is perfect for when you need to concentrate on a huge project, study for an exam, or simply have a large workload to handle. Simply dab this mixture on your wrist and deeply inhale a few times for a boost. For those days when you’re feeling a little down, this blend will help perk you up and put a smile on your face. This blend is a great option for diffusion – feel free to adjust each essential oil to fit your preferences. Sleep is one of the most important aspects of our days. A quality night’s sleep helps us take on the next day properly and with enough energy. Mix this blend up and dab your pillow a few times. With each inhale you will become relaxed and drift quickly into a restful sleep.